Pick the desired input voltage range. The standard board is 7-14V, or there is a high voltage option which is 7-33V. 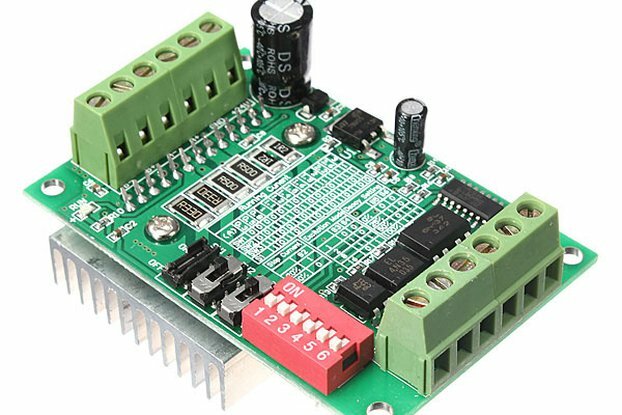 This evaluation board consists of 3 high power half-bridges that can output up to 5A peak, or 4A continuous (depending on heatsink). It has been designed with a large copper ground plane on the bottom that functions as a heatsink. If the driver IC heatsinking requirements can not be met by the copper layer alone, the bottom of the board could be fastened to an external heatsink. There is circuitry on board to amplify the winding current, and for sensing the back EMF voltage to assist in commutation. 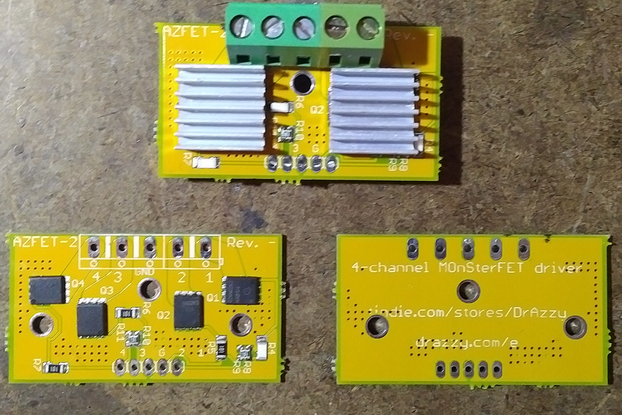 Note that this driver will not work standalone, and requires a microcontroller to output 3 PWM signals in the proper sequence, in order to make the motor run. 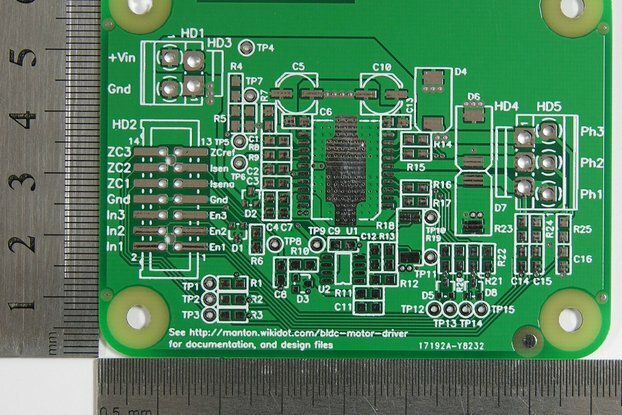 Brushless DC (BLDC) Motor Driver PCBs are avalable as well, but they are difficult to assemble by hand without the proper soldering equipment. 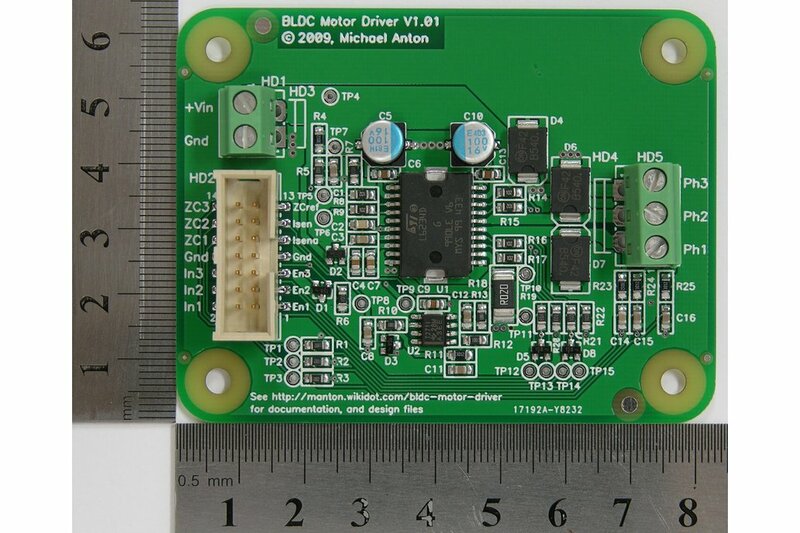 I designed this board because I couldn't find an evaluation board for this driver IC, and I wanted to experiment with a BLDC motor. At the time, I was working on a POV LED display, and thought a BLDC motor might be a good solution for spinning the prop. Alas, the POV display project was never completed, but this is a useful board regardless. 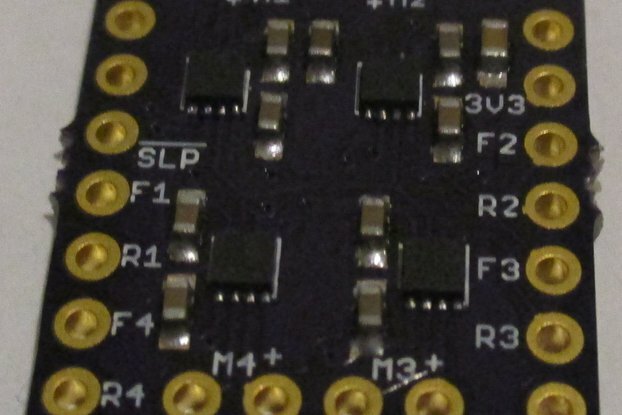 A good example of how to drive a board like this using an Arduino can be found at: BerryJam.